From the classroom to the concert stage, experience a high school choir's vocal transformation from beginning to advanced level. Step by step, through daily practice and using proven techniques this experienced educator transforms these young singers' singing into a free, healthy, blended and mature sound. ""Vocal Transformation" is on of the most remarkable teaching tools for conductors that I have ever seen. 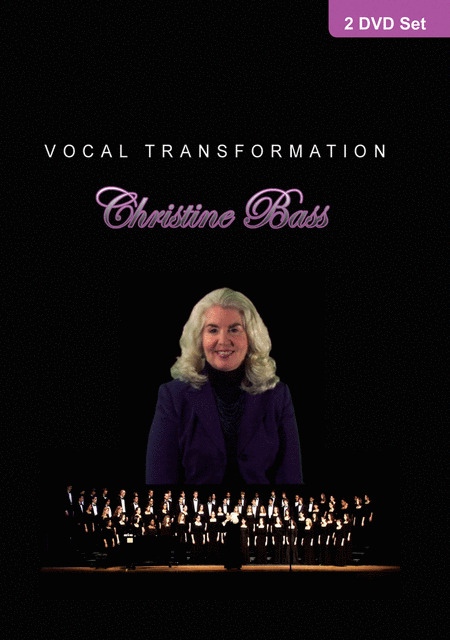 Christine Bass absolutely understands the progression of teaching vocal technique from beginning to advanced stages, and expertly demonstrates these concepts in a manner not previously done in video. "Vocal Transformation" not only provides information on how to teach concepts of vocal production, color, vowel unification, intonation and such, but actually shows the remarkable improvement of the choirs over time as these concepts are consistently taught. It's a "must have" in your library!- Z. Randall Stroope"